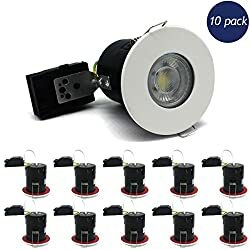 125501 products found in Downlights. 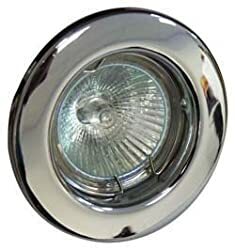 Your request for Downlights revealed a total of 6125501 results. 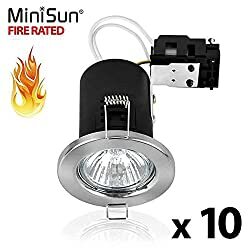 Product Features: Pack of 10 - Quality MiniSun Fire Rated Downlights. 90 Minutes Protection Against the Spread of Fire, Brushed Chrome Finish. Terminal Box Supplied. No Transformer Required, Measurements: Height 108mm x Diameter 80mm. Cut-Out Hole Diameter: 65mm, Please Note: Bulb Not Supplied. Complies with BS EN60598, BS5250, BS476 Parts 20, 21 & 23, Free Delivery - Ref number 03968, Accommodating all GU10 Halogen, standard size LED and CFL bulbs. Manufactures from die cast steel with a circular design, create a modern look in your kitchen, bathroom, laundry and living room. Please aware that GU10 bulbs are not included.